Thank you Northern Arizona University Staff and Students! 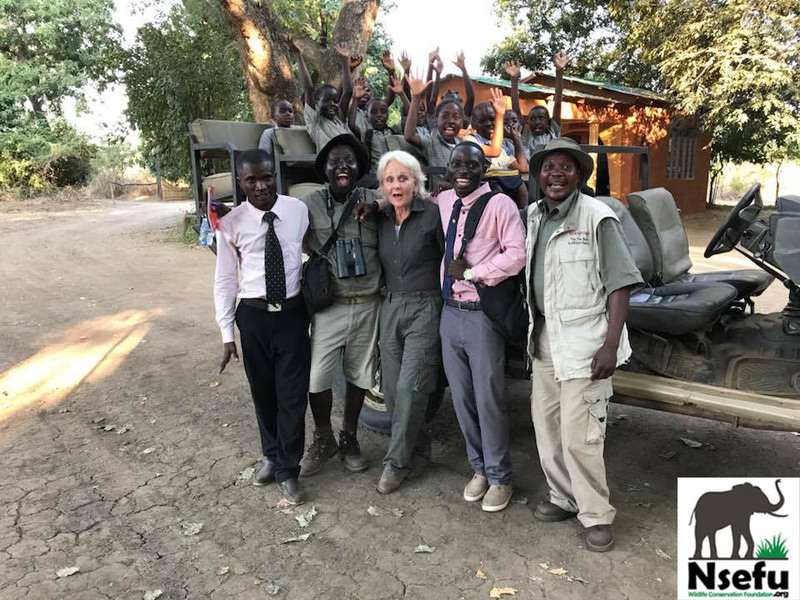 Nsefu Wildlife would like to thank the staff and students of Northern Arizona University for their most generous donations to Chabwela School and our beekeeping project. Beekeeping meeting, NAU (Northern Arizona Univerity) professors and students with the bountiful array of donated books and educational material. 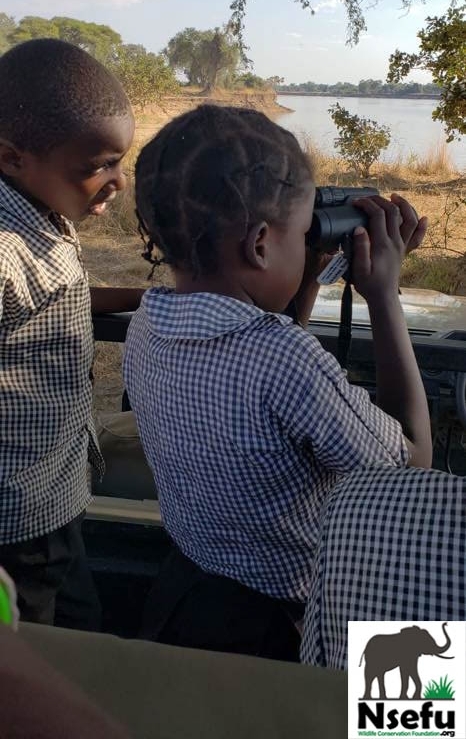 Children from Chabwela on game drive with the students and teachers of Northern Arizona Univerity and guides from Zikomo. 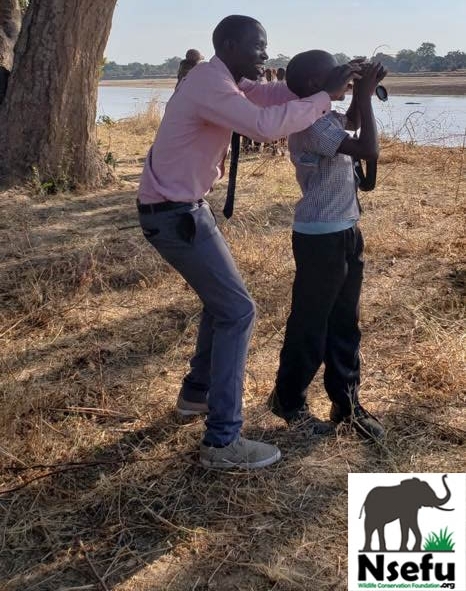 Brighton Mwanza, a teacher at Chabwela shows one of the students how to use binoculars during the lunch stop during the game drive. Nsefu Co-Founder, Victory with Chabwela Students and Nsefu Team! The fantastic NAU staff was led by Dr. Faith Walker with Crystal, Jennifer, Carol and Dan, along with students Kate, Tyler, Ryan and Craig. We are proud to include our friends as part of TEAM NSEFU. Thank you NAU! Older PostBee Fencing Coming together!